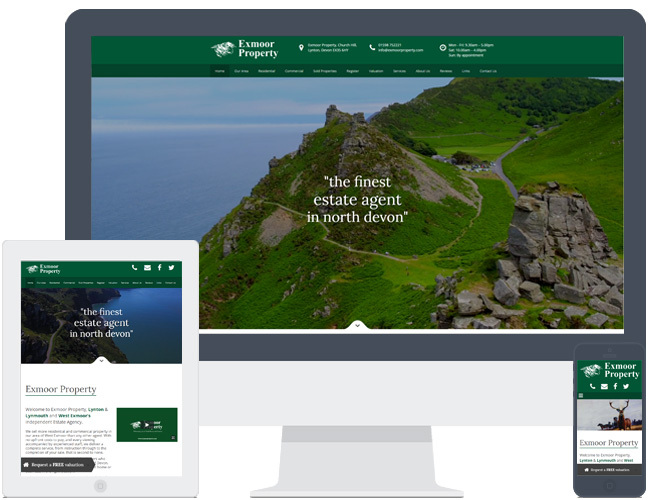 Exmoor Property chose theme R9 for their new website. They had a video of their local area commissioned and it works great with the theme due to the similar green tones. This example contains extra pages.